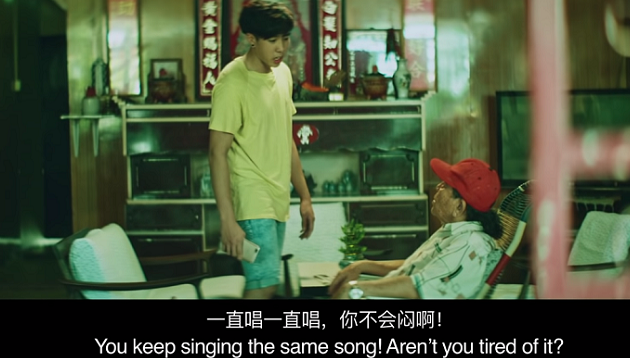 Given that Lunar New Year is the season of family reunions, Digi hopes to inspire Malaysians to rediscover their roots and the rich treasures found in family stories. These include stories of adventure, hardship, overcoming obstacles, and most of all, stories of love and sacrifice. With today’s younger generation having it easier compared to their forefathers, gone are the days where putting food on the table was in question or being under the mercy of nature. The film depicts a college kid sent to care for his slightly senile grandfather. Juggling between ah kong’s constant singing and bouts of cyber taunting from his friends, he unwittingly makes a startling discovery about a little secret his family never told him about. The campaign will run throughout the duration of Lunar New Year. Bernard Lee, head of marketing services at Digi, said the film is a little reminder to face new challenges with the wisdom and patience of old, represented by the grandfather in this tale. “Family stories are your greatest inheritance. Wealth may not last, but your stories will,” Lee said. Naga DDB Tribal’s ECD Alvin Teoh said if family stories are not passed on from generation to generation, they will one day be gone forever. “More than just telling stories, it is in a way heritage preservation, and first-hand lessons on family values and culture,” Teoh said. This includes break-dancing, beat-boxing, rapping and Muay Thai segments. ..
Planning a wedding? This might give you some inspiration. ..